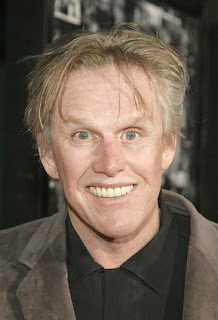 How would you like to meet Gary Busey in a dark alley? Make Me Heal has a nice post giving many plastic surgeons' opinions on his possible plastic surgery, dental veneers, and brain injury. Take a look at it here. Set your TiVo's folks, I'm making my return to the Rachael Ray Show tomorrow (Friday Sept 25th). I'll talk about four of the newest plastic surgery "breakthroughs." It's at the beginning of the show, so don't tune in too late! Also, you can learn the secret of her Sloppy Dawgs! Why did Jessica Lange look so strange at the Emmys? 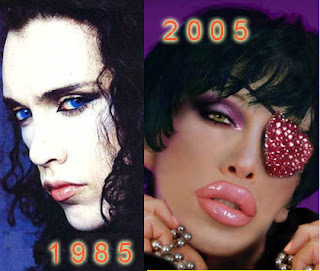 Could it be too much plastic surgery? Here is a list of what I think she's done: Browlift, Upper and lower blepharoplasty, Canthopexy, Facelift, Cheek Implants, and Botox. She look a whole lot better if she would lay off the Botox a bit. Although Botox is a fantastic treatment to smooth wrinkles, too much can be a bad thing. I like how Jaclyn Smith is aging. 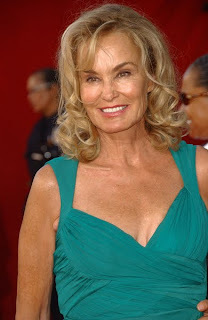 For a previous post on Jessica Lange and plastic surgery, click here. 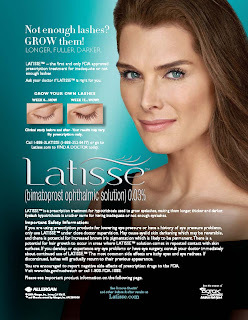 We've been using Latisse in my office since it arrived on the shelves several months ago and have not seen any complications yet. So far it appears to be both well-tolerated and effective. 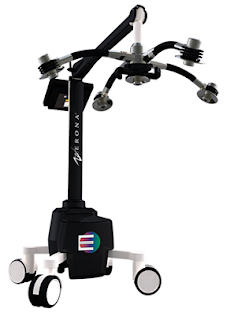 The vast majority of patients we've treated have been very happy. It seems that everywhere I turn I see photos of Megan Fox. Her new movie, Jennifer's Body, is coming out soon, so the media blitz is in full gear. She is undoubtedly a classic Hollywood beauty, but has she had plastic surgery to help her look the way she does? While Megan Fox does look great, she has not impressed me in her interviews. She comes across as a bit arrogant. She seems to know how attractive she is, and even though she has only acted in big-budget robot movies, she fancies herself some type of thespian. A bit of humility would make her even more attractive. I saw this ad on a post at Plasmetic.com and thought it was funny. What happens after the special runs out? Do you only get a unaboob? There is also a bargain-basement cosmetic center in my area which is advertising "Buy one surgery, get one free" as well. But, according to the ad you need to be one of the first fifty or so people to call in order to qualify for the special promotion. Fortunately, the ad has been playing for months, so either there is no one calling or they've decided to extend it to any poor victim who calls. By the way, the doctor in the above billboard advertises as a "board-certified surgeon." I wonder why he left out that he's a board-certified general surgeon and not a board-certified plastic surgeon? I had a little extra time over the holiday weekend to catch up with some programs on my TiVo. 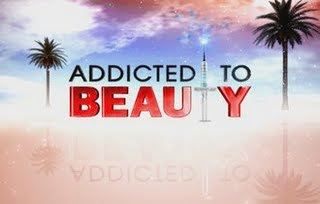 Addicted to Beauty is a reality program on Oxygen that follows the employees at Changes Plastic Surgery and Medspa in La Holla. I've actually found the show to be quite entertaining. Although some of their employees wouldn't last a week in my office (Hello, Gary the drama queen! ), it's fun to see how other people deal with such infighting and personality issues. I don't know how Dr. Gilbert Lee puts up with all of them. He seems like a level-headed guy. The only ones I would consider hiring are Natasha (the administrative assistant who is a knockout AND a hard-working team player) and Melanie (the no nonsense office manager). This is a show that is worth checking out if you are into the plastic surgery and medspa world. Also be sure to catch Youth Knows No Pain, the plastic surgery-related documentary on HBO and its sister channels. You can see its schedule here.